I am a little confused. FireFox is a browser and Windows is an operating system. Or do you mean that your web vault https://lastpass.com/?&ac= has different password than what you see from the FireFox extension? Have you checked the current password for the specific site? Select the site from the vault click on the wrench icon and then click the eye icon to see the current password. 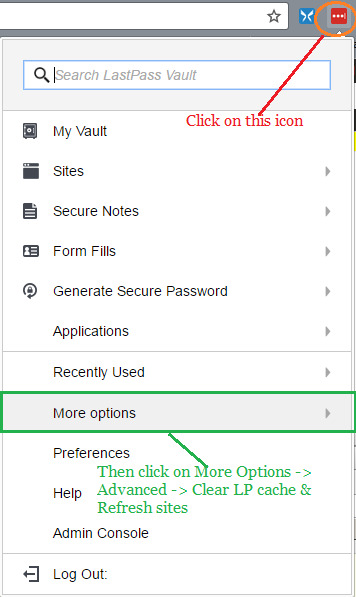 If the updated password is in your web vault but not in the firefox extension then manually refresh your vault from LP extension icon >>> More Options https://snag.gy/i1gorQ.jpg >>> Advanced >>> Clear LastPass local cache and refresh site.